BASL has appointed De Montfort University as its Education Partner and Host University. 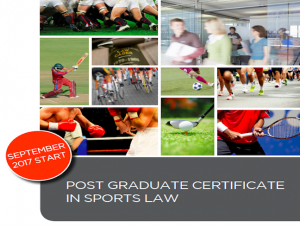 BASL and DMU have for a number of years worked together in the delivery of the BASL DMU Postgraduate Certificate in Sports Law. The course involves face to face teaching by BASL expert sports law practitioners at their offices in the City of London. 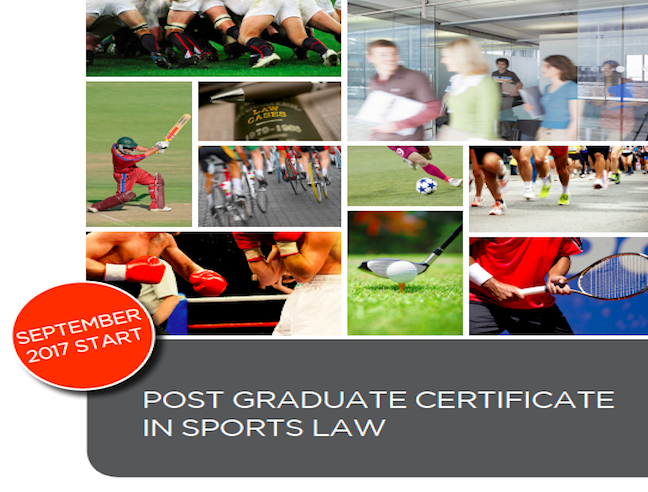 See further details of the BASL DMU Postgraduate Certificate in Sports Law here. BASL also operates a Bursary Award Scheme details of which may be found here. Details of the Bursary scheme for academic year 2017/18 can be found here, and the application form for the 2018/19 Bursary can be found here. My studies are continuing to go very well and are having an immediate, positive impact on my work as Anti-Doping and Integrity Officer for British Rowing. The learning and research in this course have become integral not only in the day to day delivery of my job role but also in taking my work further. Improving my foundation of knowledge in a variety of areas of Sports Law has given me the confidence to get involved in work that typically I may have shied away from. It’s also given greater credibility as to the skills I have to offer, and consequently in addition to my job, I recently became General Secretary, supporting UK Deaf Sport with their international relations. Without the BASL Award I would have struggled financially to fund the course. It really has eased the pressure I would have felt for a course that is proving to be valuable for the development of my career. I am very grateful to BASL for this and hope my thanks will be acknowledged. The BASL Bursary award gave me a boost of confidence ahead of my Sports Law LLM at Nottingham Trent. I felt supported and engaged in the community of Sports Lawyers, and by attending the BASL conference, could see clear links between my studies and the real world of Sports and the Law. The financial support of the BASL award meant I had much more time to focus on my studies, and I have gone on to be incredibly successful in my first modules – achieving a High Distinction in my European Sports Law and Policy submission. I would like to place on record my thanks to the BASL for their support and my tutors at NTU (particularly, Simon Boyes and Alfonso Valero).